Our church just ended our annual prayer and fasting. It was a great time to start the year seeking God, re-aligning our hearts to His and dedicating the days and months to come. As our students joined the prayer and fasting, It was also a great opportunity to impart faith not only for their life and family but also for their campus, daring to believe for the impossible to happen, knowing that apart from God, it cannot happen. We gathered few students to help us come up with the prayer points for their campus that the leaders and students will be praying for during the 5 day prayer and fast. As the prayer and fasting goes through, students met once a day inside the campus and prayed together, believing God for breakthrough in their campus, fellow students, professors and staff. It was refreshing to see these students take the initiative to meet everyday to pray together and for one another. Their commitment to meet up speak volumes of their faith and unity. Together, they stood before God representing their campus, their fellow students, asking God for His will and believing God for the multitudes to encounter Jesus. One of their initiatives also was doing prayer walk in the campus. This is praying and declaring the truth and blessing according to the bible to every corner of the campus. It is important to impart the value of prayer through praying for the campus. By doing this, we are imparting faith to these next generation leaders. 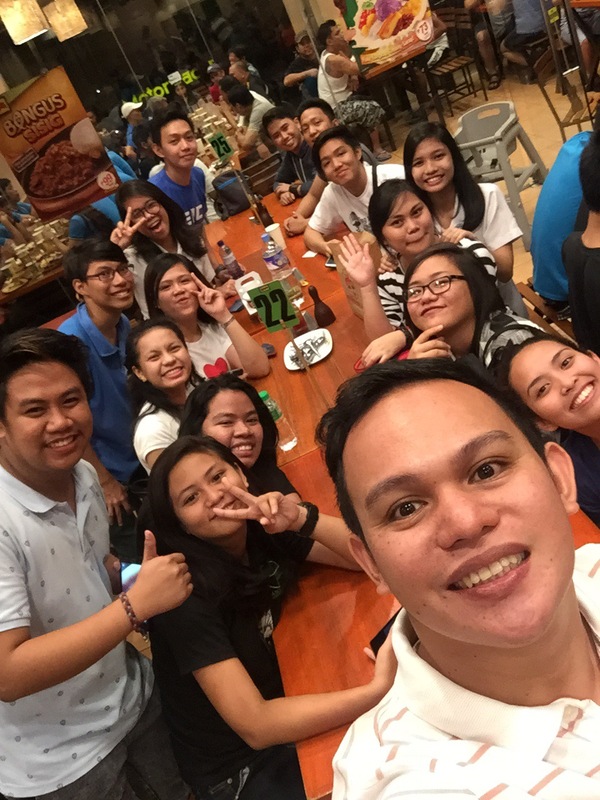 Breaking the fast with some of the students from Arellano University Pasig and Rizal Technological University Pasig who joined the 5 day prayer and fasting.